Please mark your calendars for the TWENTY-FIRST Annual GIS In Action Conference, hosted by the Columbia River Region of the American Society of Photogrammetry and Remote Sensing (ASPRS) and the Oregon-Southwest Washington Chapter of the Urban and Regional Information Systems Association (URISA). This year, we are back at Portland State University! Each year ASPRS and URISA collaborate to hold this informational conference on current issues in the Geospatial Information Community. Join us for what will surely be another successful opportunity to meet with colleagues in the geospatial industries and organizations, to learn about emerging topics and recent advances in GIS applications, and to discuss our problems and solutions together. Don’t miss this amazing opportunity to meet and network with GIS professionals from the region. Find out who is doing what, and how. Visit the GIS In Action Website for more information. 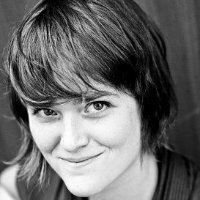 Amber Case is a researcher exploring the field of cyborg anthropology and the interaction between humans and technology. She has been featured in Forbes, WIRED, and many other publications, both in the United States and around the world. Her main focus is mobile software, non-visual augmented reality, the future of location, and reducing the amount of time and space it takes for people to connect. Case has spoken at TED on technology and humans and was featured in Fast Company 2010 as one of the Most Influential Women in Technology. She’s worked with Fortune 500 companies at Wieden+Kennedy and on major applications at Vertigo Software. In 2012 she was named one of National Geographic’s Emerging Explorers and made Inc Magazine’s 30 under 30 with Geoloqi co-founder Aaron Parecki. She is @caseorganic on Twitter. Geoloqi was acquired by global mapping company Esri in Oct 2012. Currently she is one of Forbes top 100! Sharon Wood Wortman - author of "The Portland Bridge Book"
Sharon Wood Wortman is the author of The Portland Bridge Book, first published in 1989. Her poetry has been widely published. She's ridden the Oregon Chautauqua circuit, received three Regional Arts & Culture Council grants, and in 2006 was awarded the Frances Shaw Fellowship from the Ragdale Foundation. She performed her one-woman show, "The Bridge Lady," at Portland's Shoebox Theatre in 2009, and was a featured performer for The Moth Radio Hour at the Arlene Schnitzer Concert Hall in 2011. 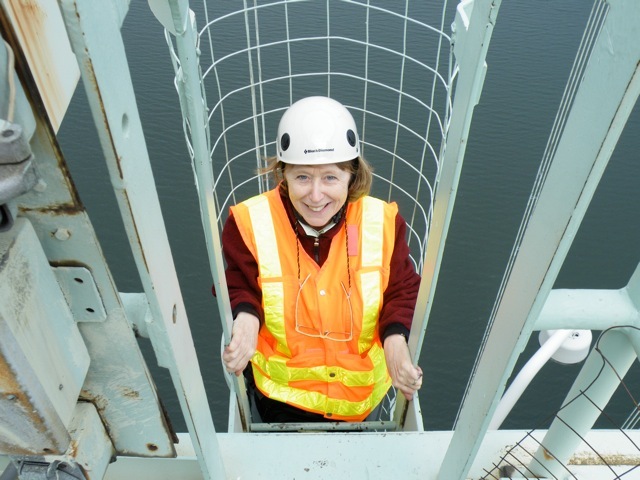 In her 20-year career leading bridge walks for school groups and for Portland Parks & Outdoor Recreation, she has taken more than 20,000 people of all ages bridge walking. Sharon's husband Ed is the co-author of 2001 and 2006 editions of The Portland Bridge Book. He was the field engineer who worked with the iron workers to erect the Fremont Bridge in the early 1970s. Fremont is still the longest tied-arch bridge in North America. Ed now works part-time for Multnomah County and is part of the team constructing the new Sellwood Bridge, scheduled to open in 2016. The two are now collaborating on The Big & Awesome Bridges of Portland & Vancouver - A Book for Young Readers, the first book about the bridges of Portland and Vancouver for elementary students: www.pdxbridgefestival.org.